So do you guys think Joshua Rush and Luke Mullen aka Andi Mack’s Cyrus and T.J. really ship Tyrus in real life!?!? 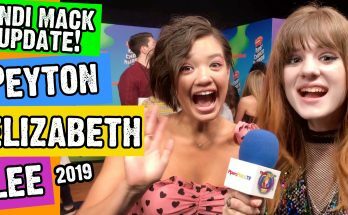 At the risk of getting slimed I started getting into the deets and asking the questions on the orange carpet at Nick #KCA 2019 ahead of Andi Mack Season 4! Joshua is funny sweet and always super-nice. It was AwEsOmE catching up with him. As for Luke well….that’s another story! LOL! Just kidding! This is actually the first time we’ve met. He was just as cool as you guys would hope and very nice too! All was going smoothly until Asher Angel almost crashed the interview! Joshua tried to get him to jump in on the interview but well just see what happened. Also exactly what did Joshua and Luke do to upset Michelle Manning!? 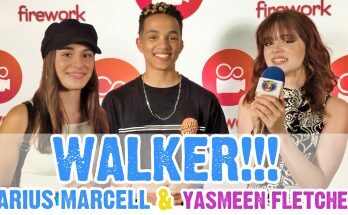 We’re talking Andi Mack on-set pranks, Season 4 Tyrus info and Marvel vs. DC! With Asher Angel in Shazam!, which do Josh and Luke prefer? This is the first of our interviews from this year’s MeGa-PiPeRiFiC Kids Choice Awards! 2019 was a great year for KCA! It was back on the beautiful #USC campus. This is the first time the ceiling on the tent was lined was fiber optic stars! It was so pretty. Tons of people. 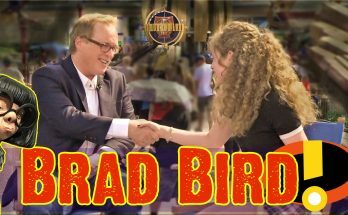 Previous Article Police Stop Parker & Mr. Ping Lunar New Year Interview at Universal Studios Hollywood!